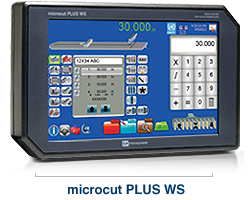 C&P Microsystems | Home Page | Developer of the microcut PLUS NT, microcut BASIC, microcut JR and microcip is the global leader in paper cutting control system technology. 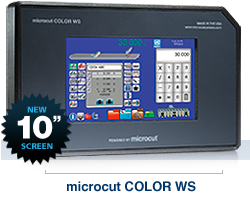 The microcut PLUS WS has a 12" color touch screen and includes microcip, microfacts and is networkable (cutternet). Going to the Graphics of the Americas Show? Please stop and see us where we will be displaying our newest developments. February 22-24, 2018 in Ft. Lauderdale Florida. If you would like to schedule a meeting please contact us. 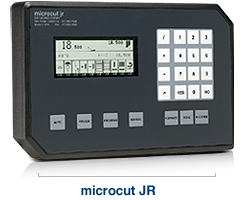 The B-65 system is the complete clamp/cut control system that can replace an existing control system and is available as an OEM package for new machines.